From simple floral accents to extravagant anniversary bouquets, statement pieces for the home and gorgeous sympathy flowers, our expert team of Central London florists are here to make sure that no matter the occasion we have everything you need. So whether you need to order flowers for a funeral, sympathy flowers, an anniversary bouquet, or some simple "just because" flowers, we at Handy Flowers are here to help you show you care. We provide on-time flower delivery, which means you can order flowers no matter the time of day and we promise we will get the flowers delivered as and when you need them. For years we at Handy Flowers have striven to bring you the best flowers possible. And by bringing in the highest quality into our flower shop, we guarantee that no matter the season we will always have the freshest flowers possible for you and your floral arrangement wishes. Not only do we have the most gorgeous flowers on the market today, but we also offer them in at a fraction of the cost. Place your order with us and you will receive the very best flower arrangement for the lowest price in Central London. No matter your budget, design preference, or location, you will receive the most stunning yet cheap flowers and arrangements created by the most dedicated florists locally. Over the years our team of florists has grown and perhaps changed a little, the goal of excellent customer service has never changed. We always want to ensure that you will have everything you need and want in a floral arrangement. Whether you want to order online or send flowers by post in Central London, you will get a variety of flower displays to choose from, and then have the flowers crafted to your specifications. Don’t worry about flower delivery! If you want your flowers delivered the same day, we will do it for you as we have an express same day flower delivery service. We have many years of experience so we can create anything a customer would want, no matter the budget. There are so many ways to show someone you care in this day and age, but only our expert florists can help say those very words with style. Sending flowers used to be the only way to tell someone you care, and it is incredibly special to see many are still using this wonderful tradition. Because we now live in the day and age we do, delivery of those amazing flowers is rather important. We offer flowers by post as well as next day flower delivery in Central London at an affordable cost, so if you ever have to send a little something to someone that doesn't live in the area - you know they are getting an arrangement from a florist you can rely on. Our flower delivery service is dependable and efficient. Send flowers with us now and you would be glad that you did. One of the wonderful things about choosing a local flower shop like us is the ability to pop down to the shop and pick out your flowers, or arrangements in person. But as we all know, doing that in this day and age can be tricky thanks to odd work hours, taking care of children, or family needs. So whenever you need to take a moment to send some arrangements to that special someone, or create some special sympathy flowers or draft an entire line for a funeral, try shopping with Handy Flowers online! We offer all of our amazing bouquets, flower arrangements and more all with the click of a button. Not only are you able to order your flowers online, but you will save money on flower delivery in Central London. 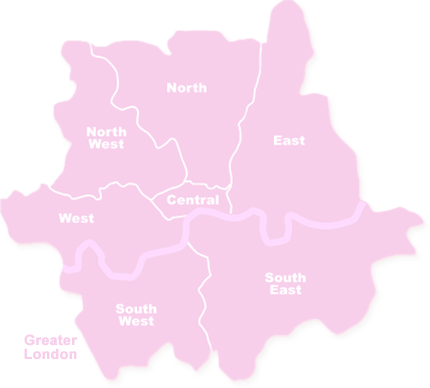 Central London is a sub-region of Greater London comprising the London boroughs of Islington, Camden, Kensington and Chelsea, Southwark, Westminster, Lambeth and the City of London. Visit the beating heart of London and indulge in a mix of culture, tradition, commerce and innovation. Go to the British Museum to see historical treasures, explore Westminster Abbey or enjoy an aerial view of the city from the London Eye. Other places of interest include London Transport Museum, Royal National Theatre and Southbank Centre food market. Marylebone, Mayfair, Blackfriars and Bloomsbury are some of the areas located in Central London.